Multimedia artist Richard Penner joins me for a chat about his surreal, experimental microfiction show, The Infinite Now, a program that features a mysterious entity known only as The TIMESCANNER. Richard and I talk about the origins of the show, the nature of time, love, and the beautiful poison of chemical pigments. If you head over to timescanner.net, you can catch an EXCLUSIVE interview I did with the TIMESCANNER (the character from the show, not Richard) himself. It’s pretty friggin’ sweet. 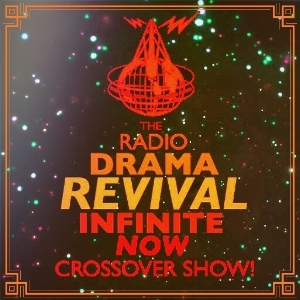 Look at that fabulous crossover logo Richard made! Ahh! I love it!